Concept, service & brand design, mobile development and data infrastructure. People can easily communicate their needs and wishes, but the thoughts of man's best friend still remain a mystery. 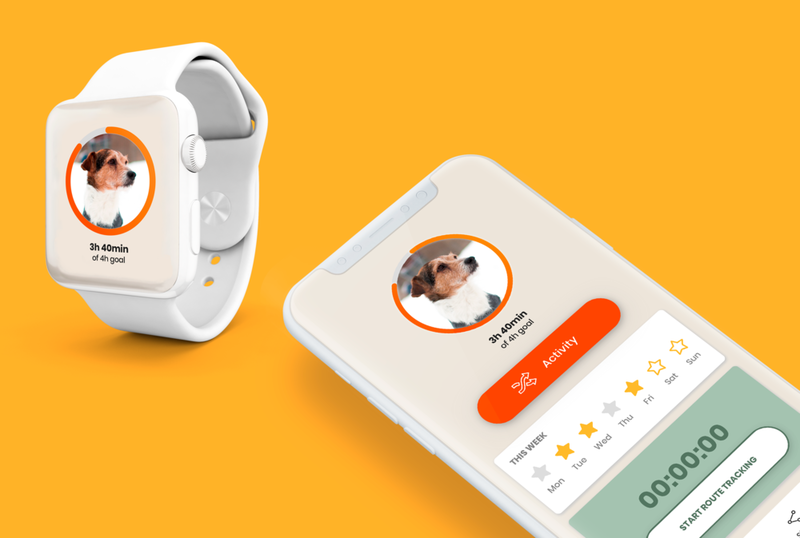 Anaxeos provides peace of mind to dog owners by letting data do the talking. The company came to us with a product idea and a great network of collaborators. Our job together has been to crystallize the product's purpose through research and design, and to build the data infrastructure and software to support these goals. Working closely together in a lean and iterative way has made it possible for us to produce a great deal of results in only a few months. We dove head-on into research by spending loads of time in dog owners' homes and being part of their everyday lives. This enabled us to form a rich understanding of the motivations and drivers behind our customers' needs and wants. 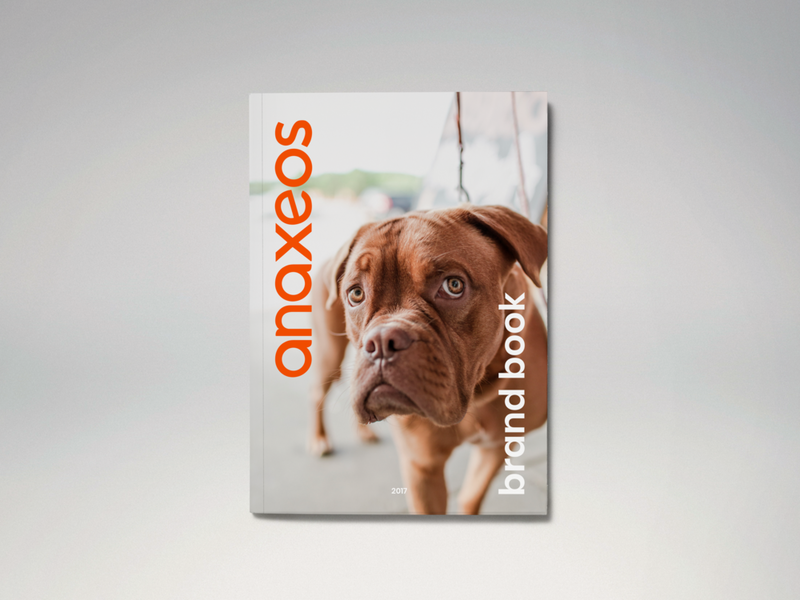 To reflect these insights and Anaxeos' values, we developed a visual identity and a set of brand guidelines, like defining the tone-of voice and the way we talk about dogs and technology. These rules were collected into a book of brand guidelines, with a set of design principles to guide development. The solution consists of physical products (a sensor pack and an accompanying vest) and software services (a mobile application for consumers, data-as-a-service for B2B clients). We considered it important to build things in a systemic and modular way from the beginning: designing rules, principles, patterns, and elements, instead of trying to tackle each problem individually. The project has a wide variety of professionals working together: hardware development, industrial design, textile, packaging and cellular specialists, to name a few in addition to our own experts. The team works from several different locations, and our weekly Hangouts checkpoints have been an important routine to keep all of our work aligned. Designing a completely new product from scratch is both easy and extremely difficult at the same time. By building the minimum functional and desirable version first, we have been able to test and validate our thoughts continuously. Working with a start-up has also meant that our solutions need to be able to scale up fast, both infrastructure and content-wise. We build with React Native, to support several operating systems at once.